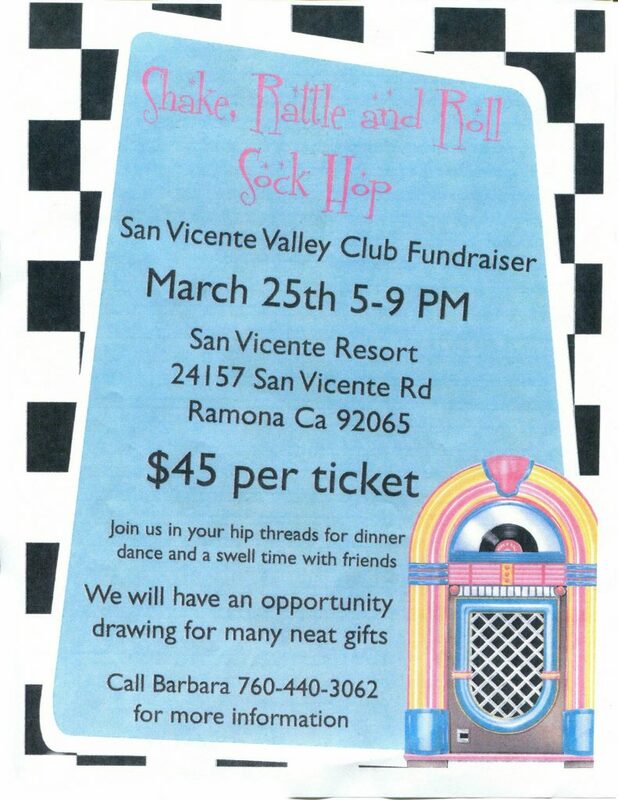 On Saturday, March 25, 2017, the rockin’ ladies of the San Vicente Valley Club danced to the oldies at the Shake, Rattle ‘n Roll Sock Hop. Yummy food and fabulous prizes made the evening a big success. All proceeds benefit local high school students and community charitable organizations. The fun started with cocktail hour and continued with dinner and dancing. Our silent auction featured prizes from local merchants as well as those from the San Diego area. DJ Sandy Gillam played our favorite golden oldies.